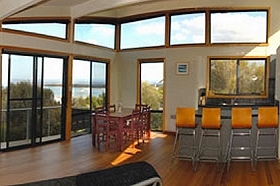 Moana View is a comfortable self-contained holiday house at Coles Bay on Tasmania’s Freycinet Peninsula. Managed by Sheoaks, Moana View has two-storeys, is close to beaches and a short drive to shops and Freycinet National Park. On the ground floor you’ll find three bedrooms (two queens and one with twin singles), bathroom and laundry, separate toilet, open plan kitchen and a dining area. A wood heater keeps this area toasty warm in winter. The kitchen is well equipped for holiday cooking. 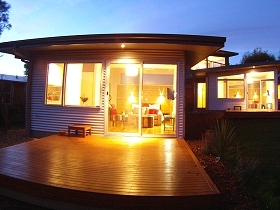 Upstairs is a large living area with two futons, an indoor outdoor table and a deck with a gas barbecue. 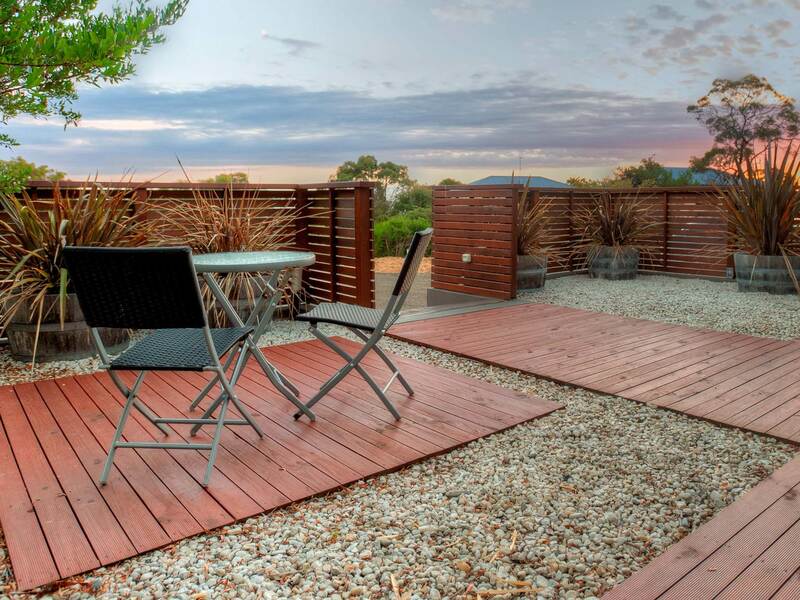 In summer you’ll spend much of your time up here as you barbecue the day’s catch or watch the sun set on the pink granite of the Hazards while enjoying a glass of local wine and fresh Freycinet oysters. 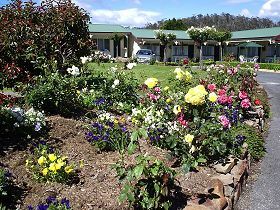 Don’t miss a walk to Wineglass Bay or Cape Tourville. 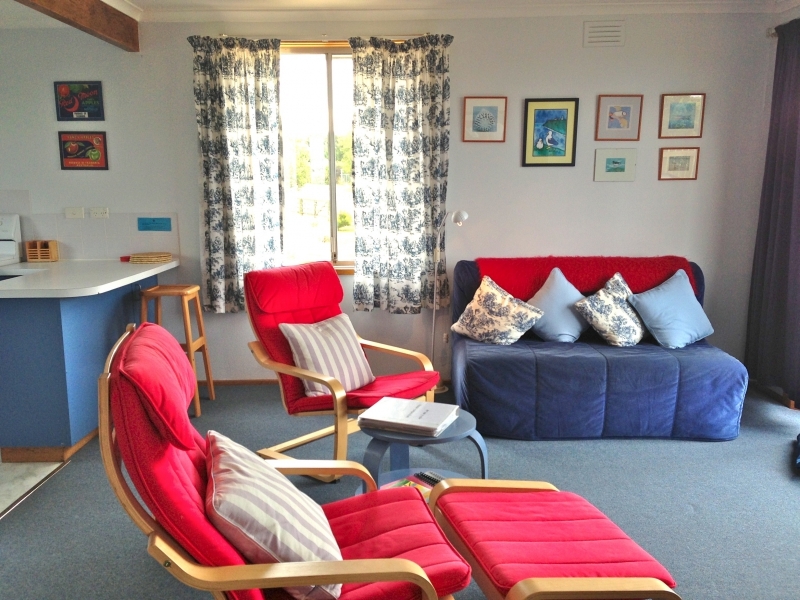 Go swimming, fishing, sea kayaking or take a cruise or scenic flight along the Freycinet coast. In spring the nearby heathlands are ablaze with wildflowers. Coles Bay is a two-and-a-half hour drive from Hobart (212 kilometres/132 miles) and two hours from Launceston (178 kilometres/111 miles) on Tasmania’s east coast.